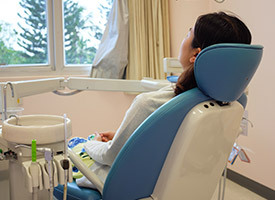 Dental fear is one of the main reasons people skip visiting the dentist as often as they should. This leads to serious oral health problems that could’ve otherwise been avoided, and we want to see your oral health thrive. That’s why we offer sedation dentistry, making your visits more relaxing. Using oral sedation, any procedure can be performed in comfort. In fact, you might not even really remember that you’ve been to the dentist once it’s all said and done! Why Choose Robison Dental Group for Sedation Dentistry? Oral sedation dentistry has been around for over 30 years and can be safely performed in our Canton dental office. Robison Dental Group will go over your medical history to make sure you’re a good candidate for oral sedation. Then you simply take a pill on the day of your treatment, have a trusted companion bring you to our office, and lie back while we perform your dental care procedure. Nitrous oxide, also known as “laughing gas,” has been used for more than 100 years to help anxious dental patients, and it’s so gentle that it’s even safe for young children. 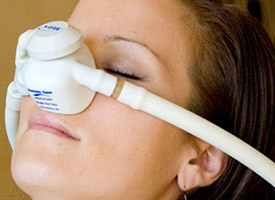 A patient simply breathes in the odorless gas through a small nasal mask, and within minutes, they should feel a warm blanket of calm come over their entire body. It can also lower a patient’s ability to feel any kind of physical discomfort. The mask will stay on for the entire appointment, and once it’s removed, the gas’ effects will go away almost immediately, meaning a patient can go straight back to their day. Overcoming your dental fears is a team effort at Robison Dental Group, and you don’t have to go through this alone. Allow us to provide you with oral sedation dentistry and wake up with a healthier, more beautiful smile.